In the spring of 2016, an intrepid young explorer, science and history buff and amateur photographer Conor Farrell embarked on a trip to the Chernobyl Nuclear Power Plant in the heart of the ‘Exclusion Zone’ in Northern Ukraine; the site of one of the most catastrophic nuclear accidents in modern history. It was a trip that left an indelible mark on Conor and was the catalyst for his first book, the recently released ‘The Road to Chernobyl: A Photographic Tour’. You might be wondering why TERMINALFOUR is writing about or highlighting a book about Chernobyl; it’s a little off base from our usual higher education and digital marketing focus. Well the answer is simple; Conor is a friend and colleague to everyone in T4 Towers. In addition to his latest achievement as published author, Conor also happens to be a client support engineer in TERMINALFOUR’s client support team. We are beyond proud of Conor’s latest achievement. He’s one of stars of our client support team and a favorite of many of our clients and we couldn’t be happier to help celebrate this milestone. 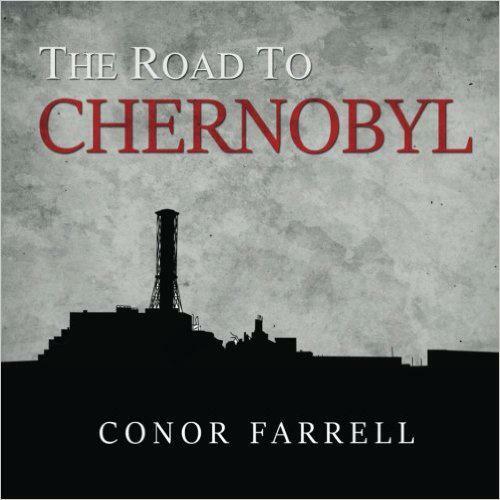 The book is a personal journey of Conor’s expectations about Chernobyl; the weight of history and loss. The palpable sadness; the many surprises and personal interactions with locals for whom their lives were defined by the events of April 26th 1986. A visual splendour and a perfect stocking filler for the holidays. Here's just one picture from the book. A picture tells a thousand words. 30 years on and never been able to restore what was; the impact of that explosion continues to inform the landscape and the hearts and minds of generations.